The 20th FIDE World Senior Chess Championship was held from 26th October to 6th November 2010 in Arco – Trentino, Italy, under management of FIDE, Fsi, Cristina Pernici Rigo and the town of Arco. All male players must have reached their 60th Birthday by 1.1.2010 and all female players must have reached their 50th Birthday by 1.1.2010. The Championship was played over 11 rounds (9 rounds in Women ch) of the Swiss System. The time control was 90 minutes for the first 40 moves followed by 30 minutes for the rest of the game with an addition of 30 seconds per move starting from move one (FIDE rules 2006). Former World Champion and defending Senior World Champion Nona Gaprindashvili entered the final 9th round with a half-point advantage but could not achieve more than a draw with Black against WFM Margarita Komysheva. WIM Tatyana Fomina and WGM Tamar Khmiadashvili used this opportunity to win their games and join Gaprindashvili on the shared first place. Tamar Khmiadashvili sported the best tiebreak score and was awarded the title of the 2010 World Senior Chess Champion. 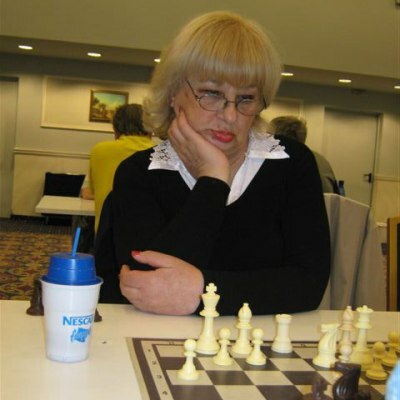 Earlier this year she already won the European Senior Championship. Last round of the World Senior Chess Championship 2010 Open was also dramatic. The three leaders from the penultimate round could not win, as GM Vlastimil Jansa and GM Viacheslav Dydyshko drew on the top board and IM Anatoli Shvedchikov was defeated, thus allowing GM Larry Kaufman (2008 World Senior Champion) and GM Anatoly Vaisser to catch up on the top positions. French GM Anatoly Vaisser, who was also a sole leader in the middle of the tournament, held the superior tiebreak and is crowned as 2010 World Senior Champion. Official website.